The Lobster-Tailed Pot Helmet was one of the few European helmets that had a distinctively Oriental origin, being derived from an Ottoman Turkish helm of similar design. It was adopted and used by much of Europe throughout the 17th century. The name lobster tail is a more contemporary name, applied by modern scholars in reference to the helms distinctive tail and neck-guard, which greatly resembles a lobsters own tail. More common names for the helm of the era were the zischagge, the horsemans pot, and the harquebusiers pot. 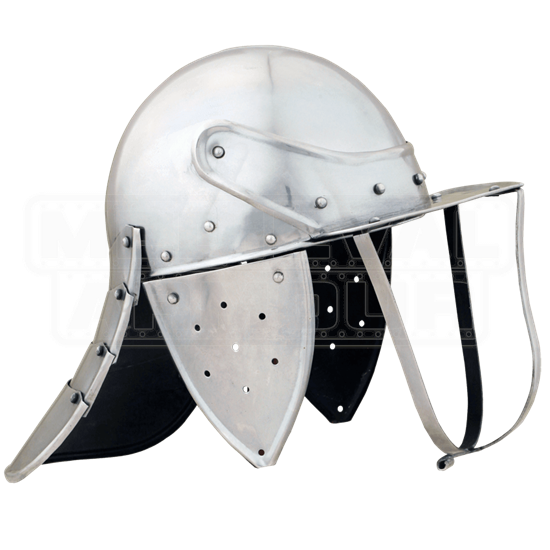 The helmet is made entirely from 18 gauge mild steel to feature a round skullcap, accented with touches of embossed line shaping. The helmet also possesses a short visor in the front, to which is attired a tri-bar face guard, while the sides of the helmet are adorned with triangular cheek protectors that offer some defense to the side of the head. The overall design of the helm is one that promotes greater defense, without interfering with the wearers sight or range of motion. The interior of the helmet possesses a liner as well, for added comfort when the helm is worn. 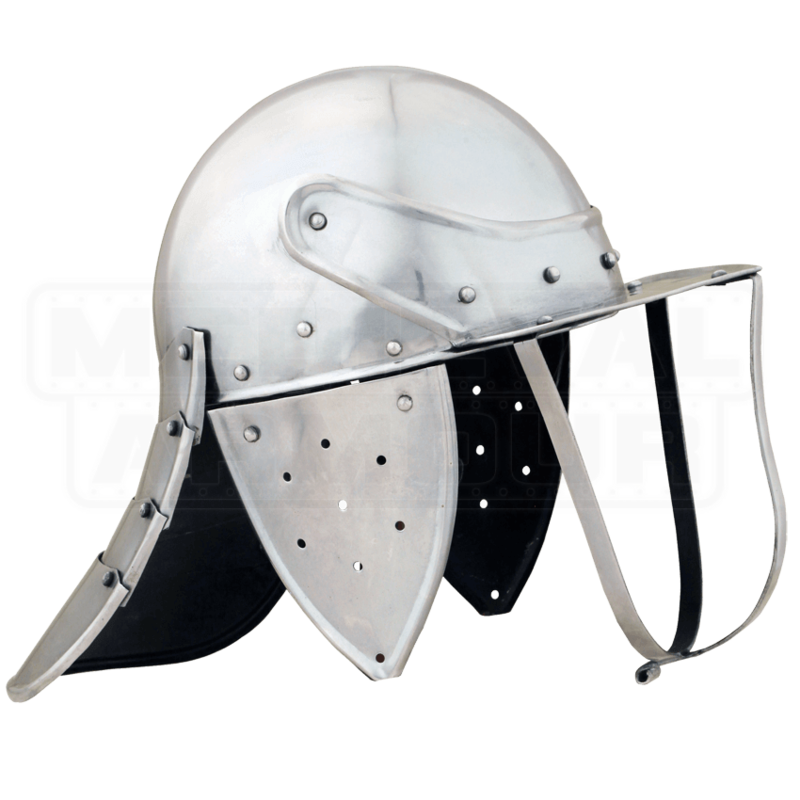 All in all, this Lobster-Tailed Pot Helmet is a distinctive piece, either to wear for costuming or for combat, as well as a cool piece to display that draws the mind back to the 17th century and its warriors and wars.